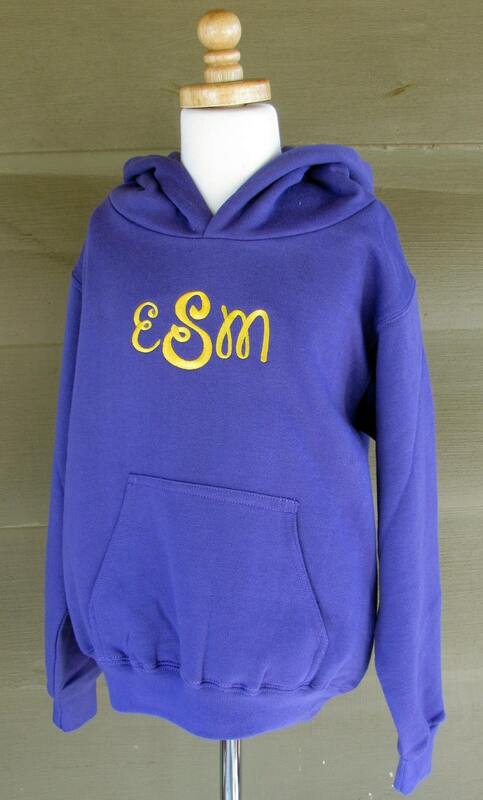 This simple hooded sweatshirt gets a classic update with simple monogram for boys or girls. 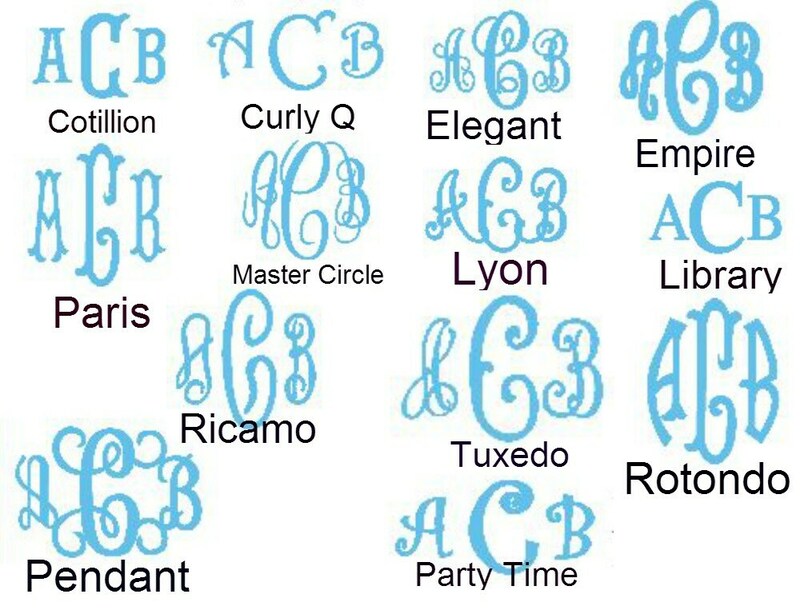 Monogram can be either 1 or 3 letters, and can be placed in either the center or left chest. 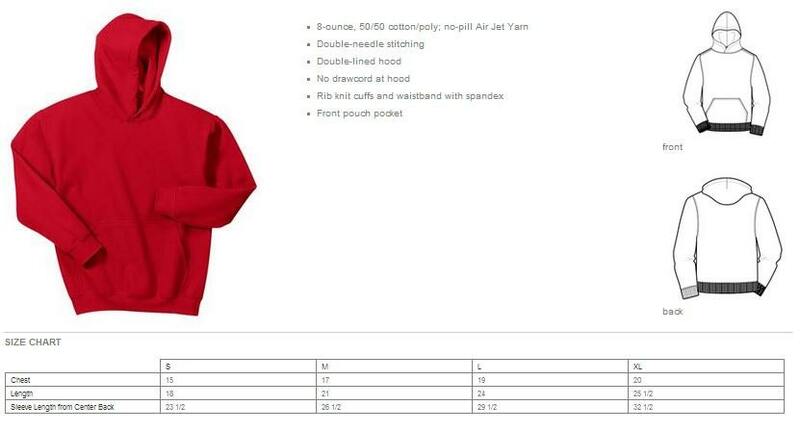 Sweatshirt is made from 9 oz 60/40 cotton/poly fleece. 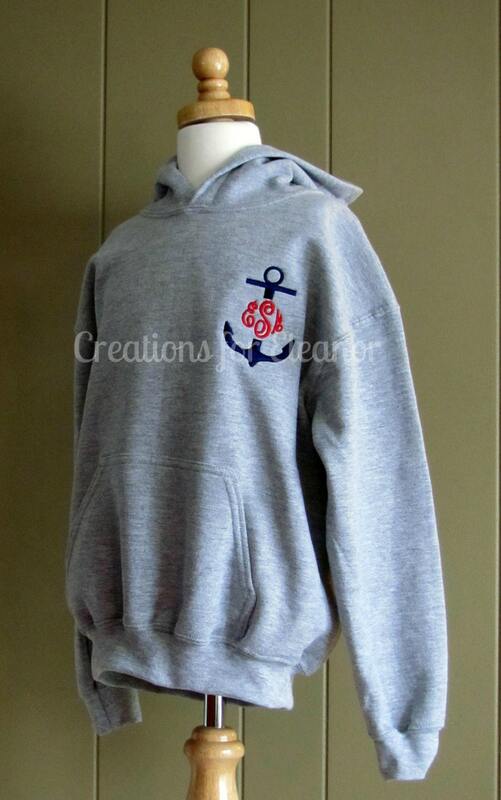 Please indicate the color you would like the sweatshirt in and also the monogram choice. 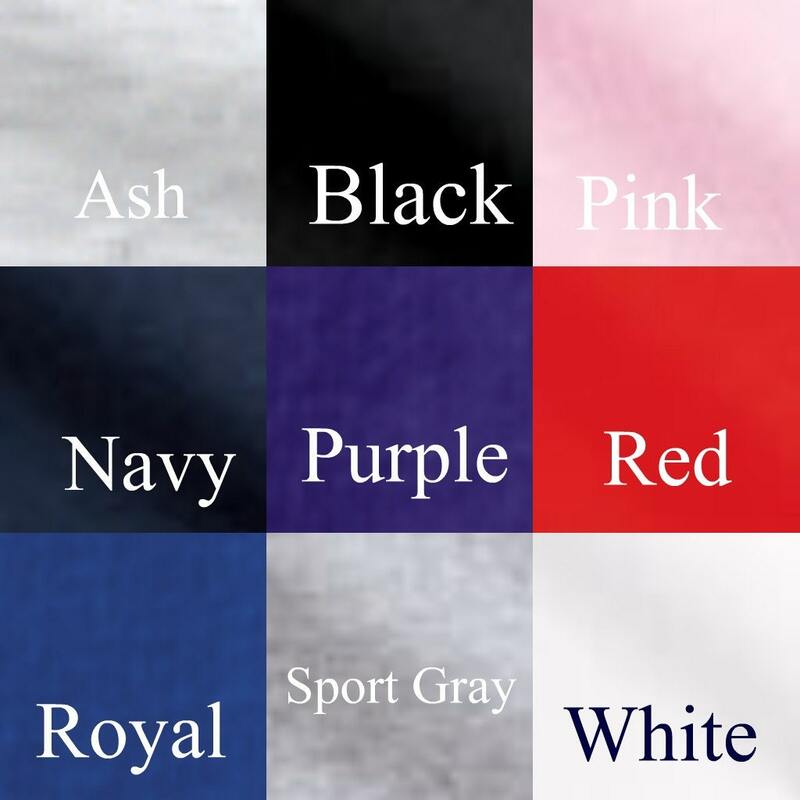 Empire is shown.